We grew our reputation in food service through our passionate commitment to sourcing wonderful beef. In a world where farmers are paid for yield not flavour and 80% of all steaks sold in this country are imported, we’ve always believed in sourcing from the natural areas of outstanding beauty that the pastures of the British Isles affords.  Our beef is selected only from beef-suckler herds to a specific classification and purchased whole to retain consistency. This helps to place our product in the top 1% of beef in the world. We mature in the time-honoured way, on the bone in five scientifically structured dry-ageing chambers where space, air flow and humidity are at optimum levels. 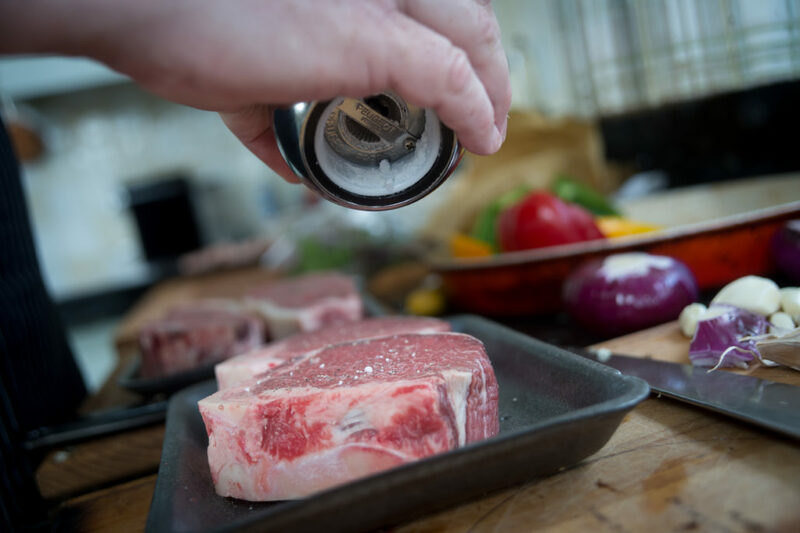 Meat scientist Professor Chris Caulkin (founder of the flat-iron steak) stood in front of 30 chefs on a cold January day at our Coventry-based HQ and said that our beef was, “the best example of dry-ageing in the World”. We are proud of what we produce. Richard McComb – Food Journalist. Prof. Chris Caulkin – Meat Scientist, University of Nebraska. 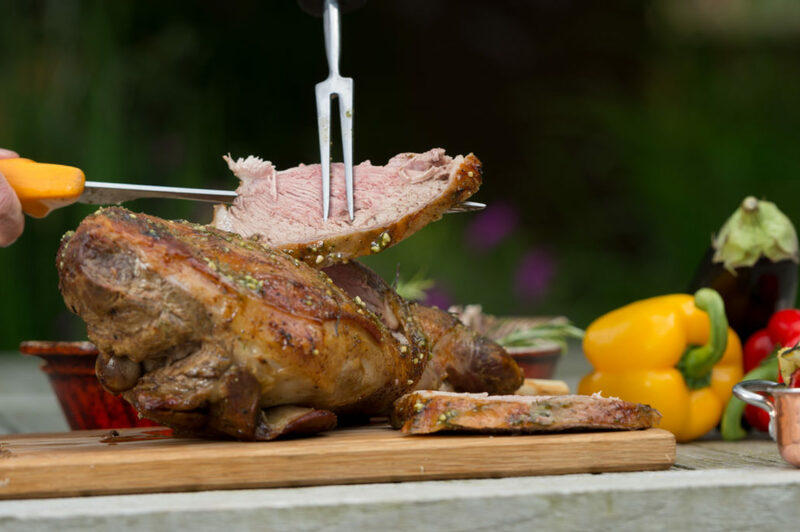 The area of the south west of England has ‘Champagne style’ PGI status for its lamb…that’s how good it is. 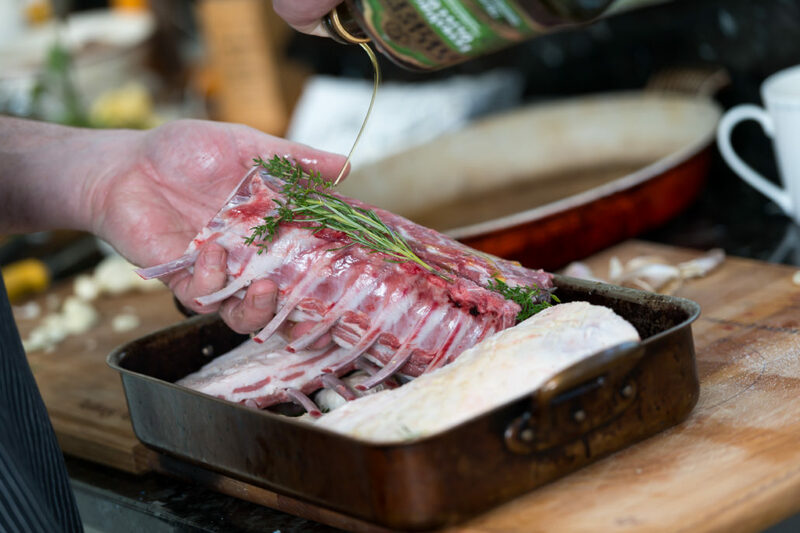 The combination of a great natural product and our purchasing philosophy to ‘only buy whole lambs directly from one abattoir to one classification’ has encouraged our chef customers to tell us they get ‘a match made in heaven’. 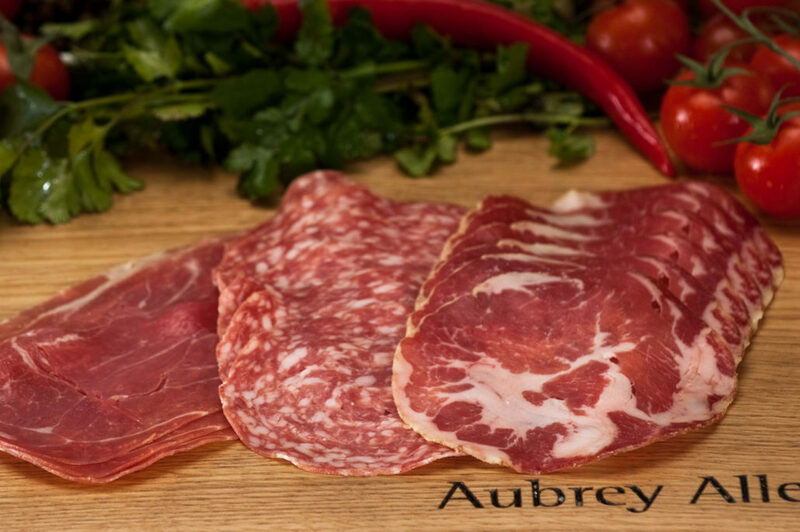 We deliver an unrivalled consistency of shape, size and flavour as well as a great variety of cuts created by our master craftsmen to ensure chefs have a real point-of-difference on their menus. Our free-range pork is sourced from Jimmy Butler’s Blythburgh farm, a family business who are as passionate about welfare as we are. We only purchase the young, sweet females (known as gilts) from Jimmy and his family. Why? 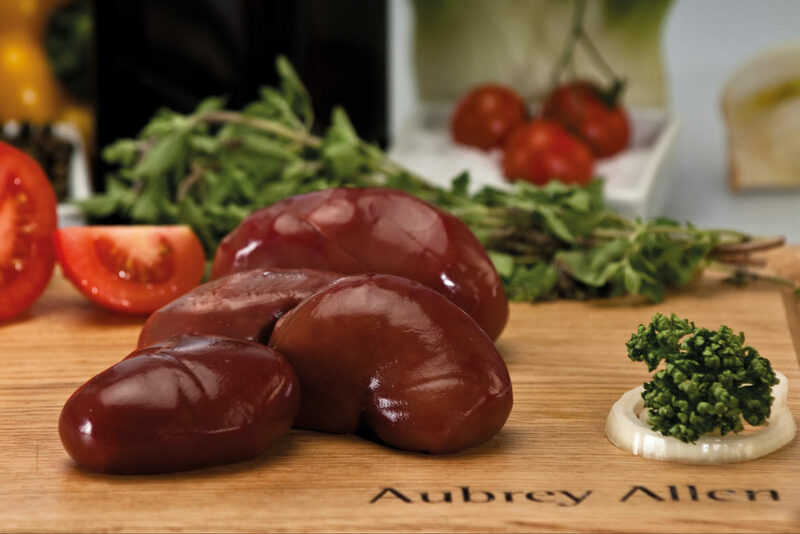 Because we believe it is the very best product for the plate with higher levels of internal fat and a natural sweetness. The Suffolk air provides a lovely salty flavour and the sandy soils allows pigs to roam and live happy stress-free lives. Jimmy joined us in 2016 along with a group of chefs to enjoy a talk by the wonderful Temple Grandin (an international expert in animal welfare) and was inspired to take away even more ideas on how to enhance the welfare of the pigs that he rears. 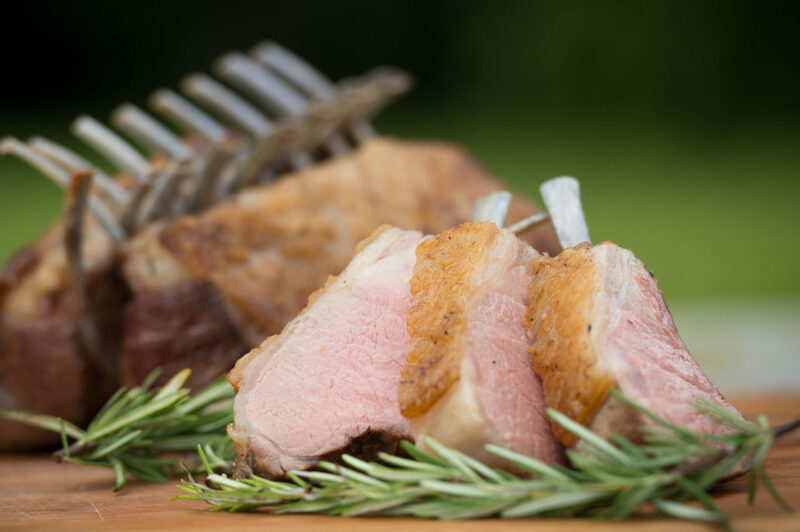 We are proud to take chefs around Jimmy’s farm and have created generations of ambassadors for this Great British free range pork. You can view images from our farm trip here. Utilising the whole carcass, our butchers craft many products using seam butchery techniques. 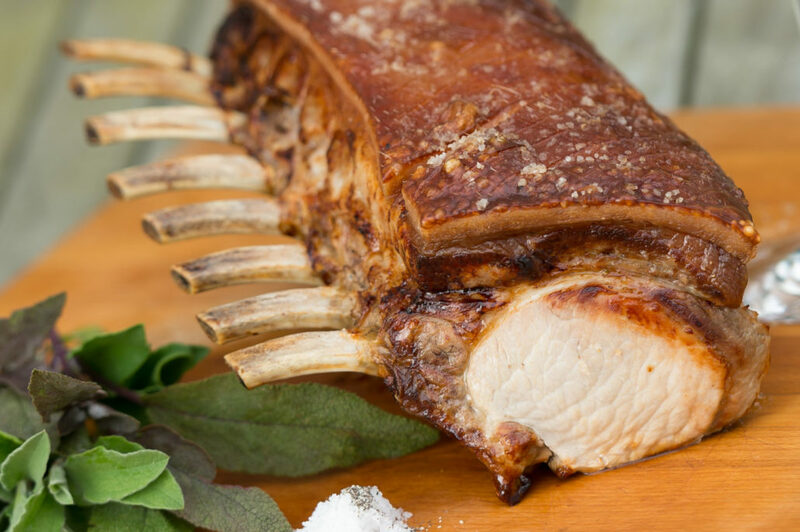 From Butlers bangers and maple cured rib eyes to french-style pork cutlets. Robert Caldecott’s family poultry business was started in 1933 so there is great synergy between our two companies. Robert advises other poultry farmers and is so respected that in 2017 he won ‘National Poultry Supplier of the Year’. 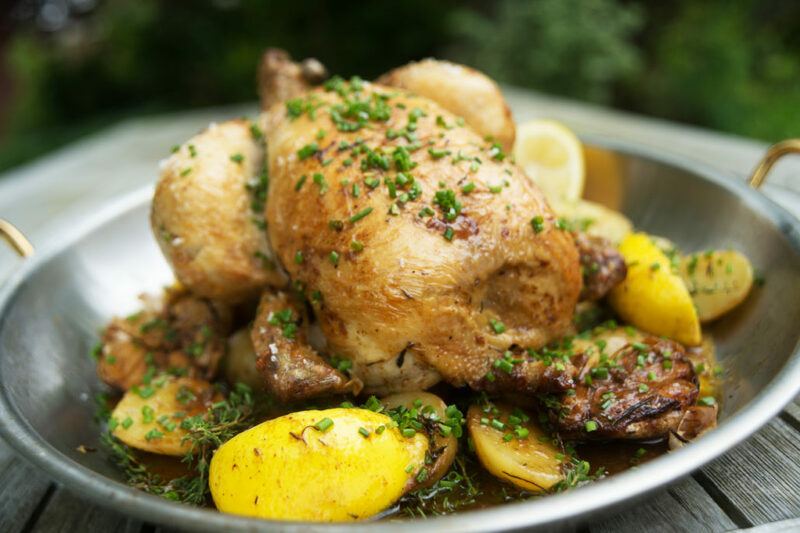 The chickens are a naturally slow-grown bird and nurtured for 15 more days than standard free-range birds to better enhance the flavour and texture – both of which will take you back to a time when chicken tasted like chicken, with wonderful crispy skin and succulence. Robert’s Holly Farm also provides our incredible all-year-round turkeys. 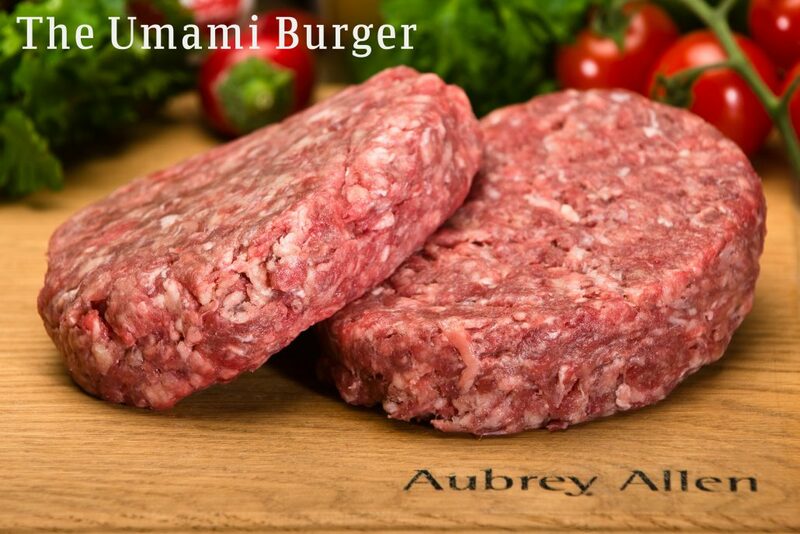 Aubrey Allen beef burgers are made from pure grass-fed cattle selected to one grade and one consistency. 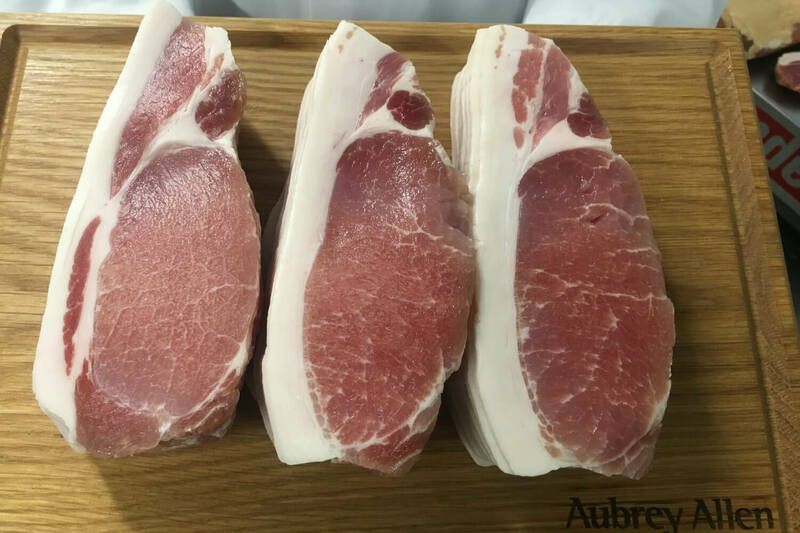 Aubrey Allen have created a burger room and a whole geeky science section with fat analysis, tempering of the mince prior to production and de-gristlers so you only get the good parts. 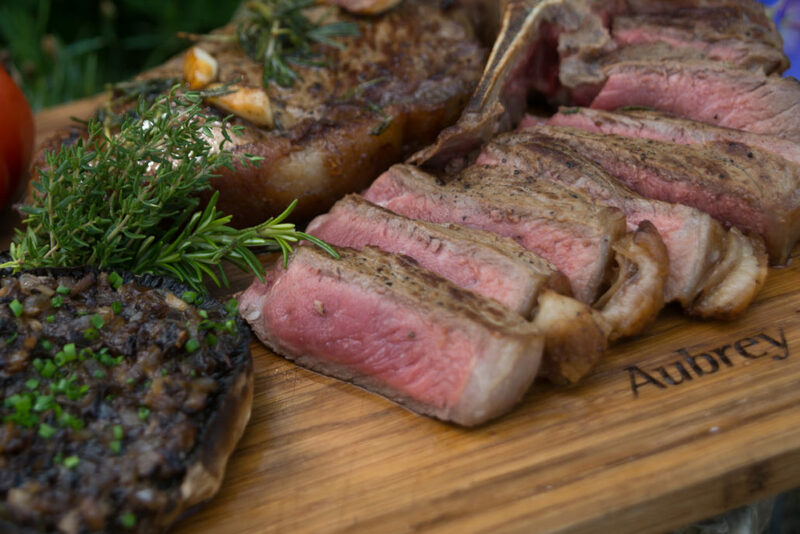 Selected cuts from our dry-aged grass fed beef carcasses. We have full traceability to give you assurance and a great tasting burger. 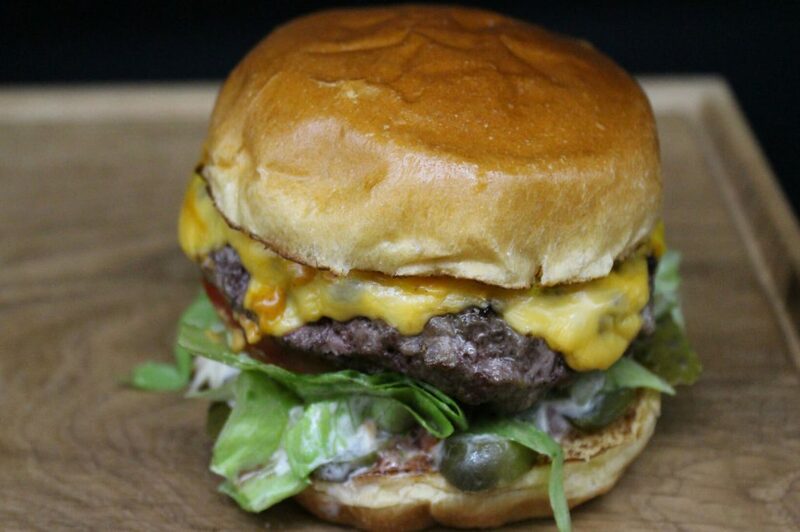 Our champion burger, the coarse cut, won England’s Best Burger. The secret ingredient? There is none. Just pure meat but only the best. Season to taste. Selected from only approved beef abattoirs, and with full approval from the FSA, we have the go ahead to sell burgers that can be cooked pink. A winner for Everyman Cinema’s Burger! Ensure you consult your local EHO for guidance. 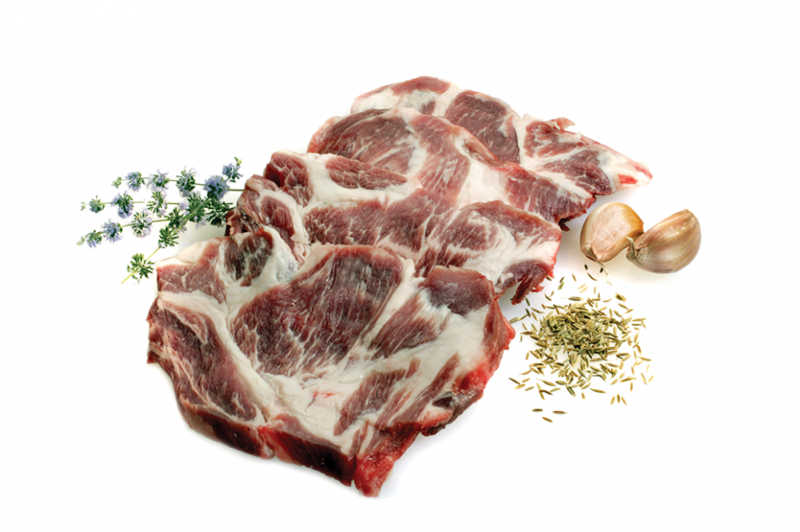 Our lamb burgers are made using selected cuts from whole South West lamb carcasses and a traditional seasoned blend. All of our burgers are packed and gas flushed to ensure they stay fresher for longer. Sample our burgers for yourself or contact our sales team to find out more about our burger blends, mixes and sizes. In our quest to source the ultimate bacon, we decided to produce our own. With our knowledge of bacon, and passion for doing the right thing, in the right way for the right people, it was logically going to be our next step. In line with our purchasing philosophy, this natural product is sourced from English outdoor-bred pigs specially selected for us. Using only the gilt pigs (young females), which have better intramuscular fat and a sweeter flavour. A simple classic, using a Wiltshire-style cure. 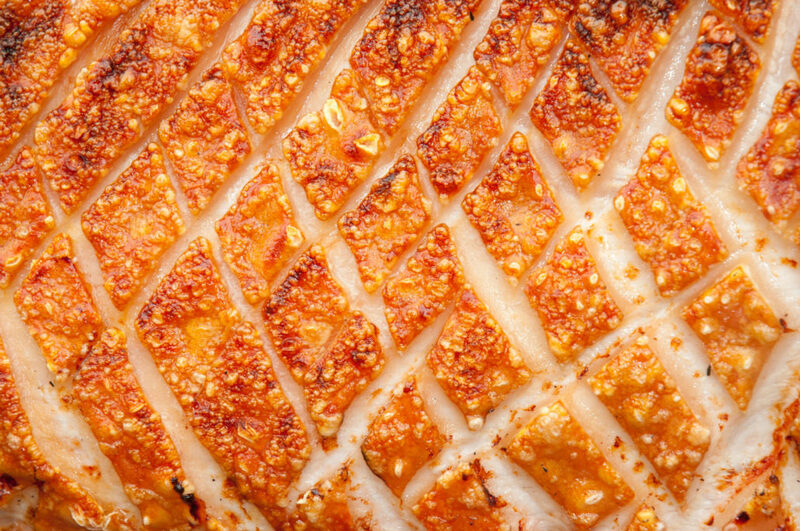 Our cured back bacon is smoked with Oak and Cheshnut. 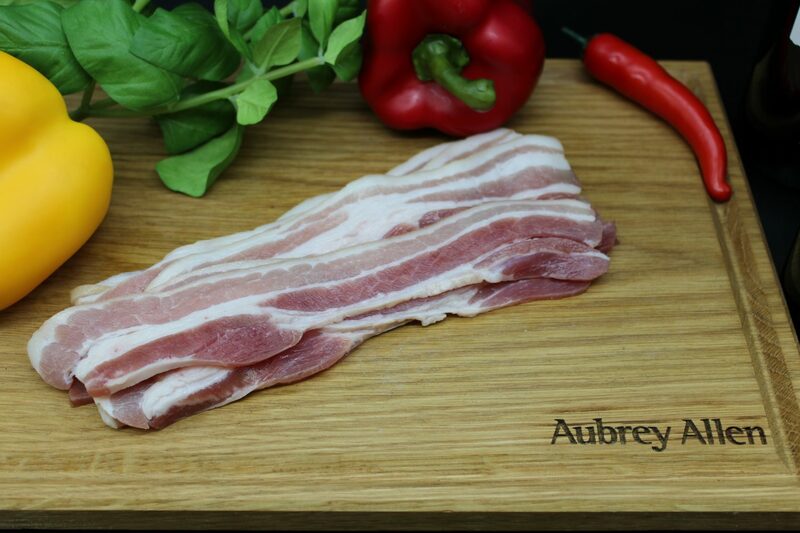 The best selling and versatile streaky Wiltshire-style cured bacon – brilliant for breakfast and cooking with. Our cured streaky bacon is smoked with Oak and Cheshnut. 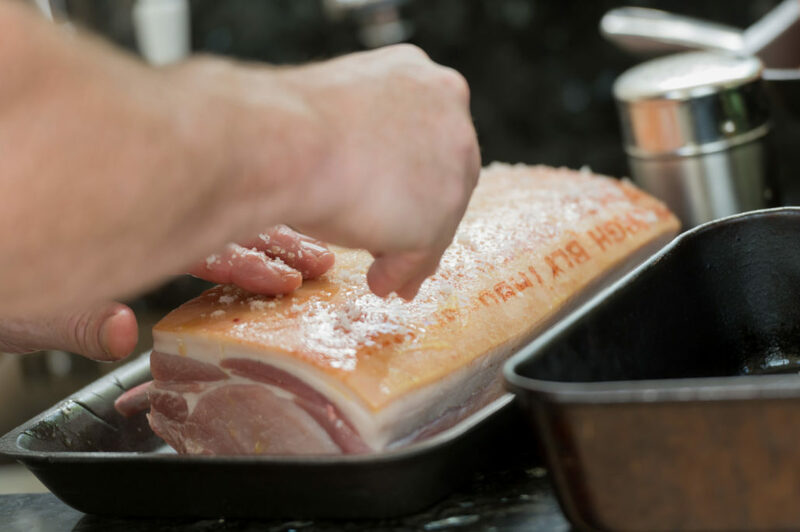 Dry cured English bacon is rarer than hen’s teeth and this is why we produce it ourselves. A real speciality product that will have your customers coming back for more! As you might expect, we have so many speciality products. Here are some of the heroes. 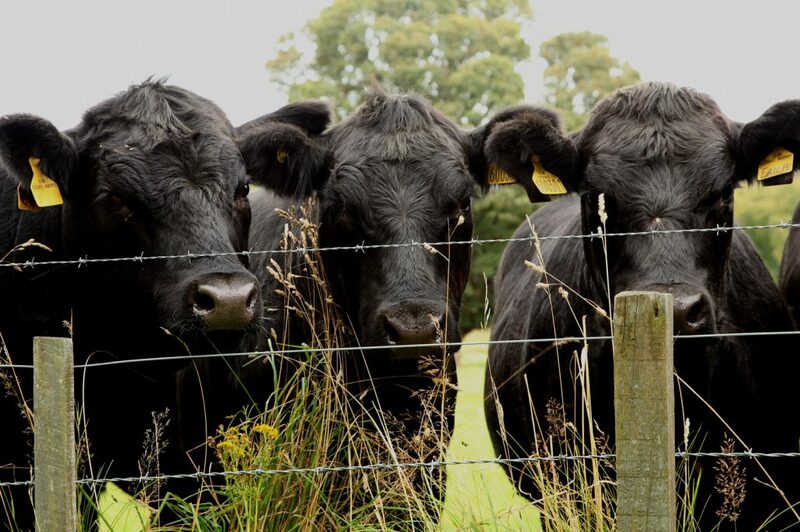 Our exclusive partnership with Earl Stonham Farm allows us to work closely with chefs to provide them with the finest cuts of pure bred English Wagyu. Andrew Deacon travelled the world in search of the best beef and fell in love with Tajima strain of Wagyu and so set up his Earl Stonham Farm in Suffolk. Welfare is paramount to Andrew who raises the wonderful pure-bred Wagyu on the pastures of Suffolk and finishes on grain. Just ask the chefs that we have took to the farm to see it for themselves. 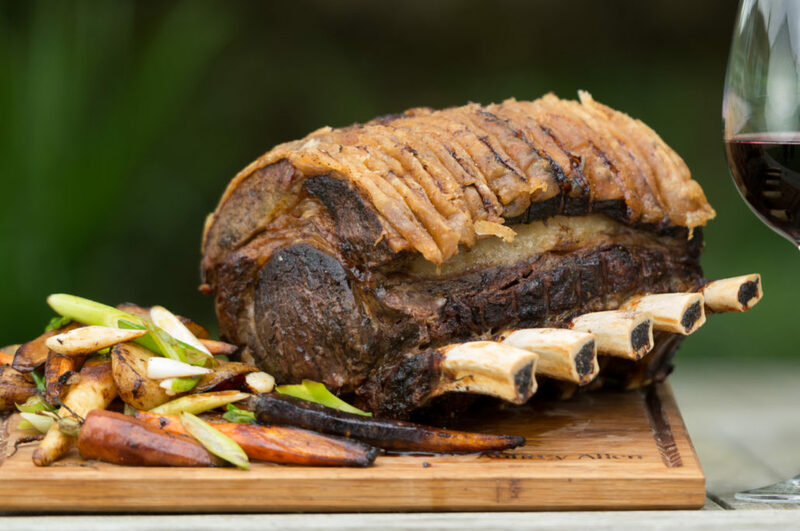 We receive weekly whole carcass from Earl Stonham to give you the option of being able to select unique products from us to make your menu stand out. Products such as the ‘Salmon-cut Wagyu escalope’ or the outstanding ‘Wagyu Burger’ are available, as well as satays and steaks. Our craftsman use seam butchery techniques on the best Wagyu to provide ultimately the best product for your menu. We visit all of our suppliers and farms and Spain is no different. We have worked with the producers to ensure the specification is up to our standards. Our Iberico is from the Pata Negra pigs who enjoy the seasonal acorns which give the speciality Bellota a rich, deep, earthy flavour and delicious fat. One of the champion stories of the rare breeds sourced by Aubrey Allen is the Manx Loaghtan breed of sheep: taken from the brink of extinction by a small group of farmers (including our suppliers Jeff and George), this rare breed actually forms part of the mutton Renaissance as it only reaches maturity at 2.5 years. An ancient breed where nature and nurture rather than medicine or false-feeding are employed to help them thrive. Lambing together as a family, a more cared for animal would be hard to find. Once matured, the meat is full of intermuscular fat and a rich dark meat – another great point of difference to feature on your menus. Reared at Blythburgh Free Range Pork for 9 weeks in a purpose built free-range enclosure, these genuine suckling pigs stay with their mum where they both enjoy the benefits of a free range environment. 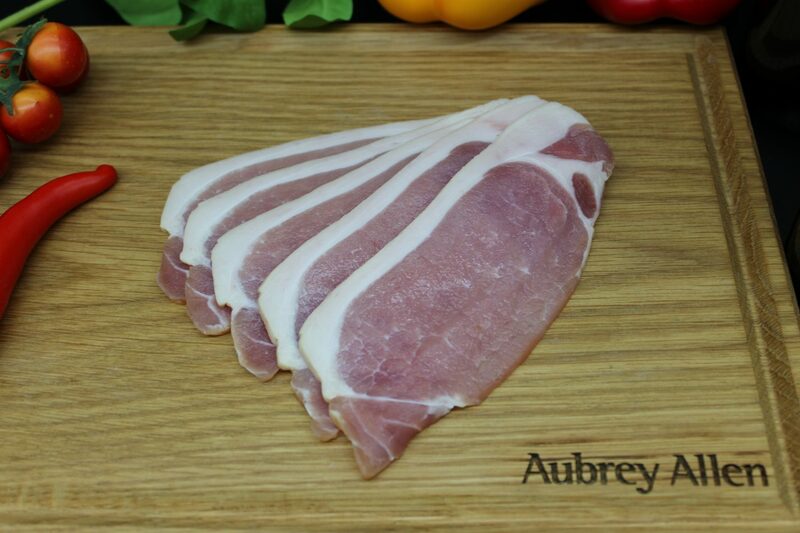 Exclusively supplied from Jimmy Butler’s free range pork farm to Aubrey Allen.